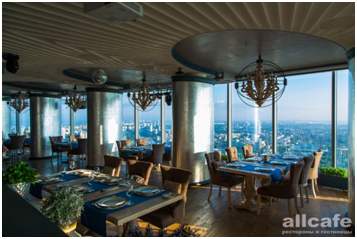 Panorama offers a great view on Yekaterinburg from the 50th floor and an international menu. As usually in great location, the food seems a bit overpriced. Be the first to comment on "Panorama (great view restaurant)"